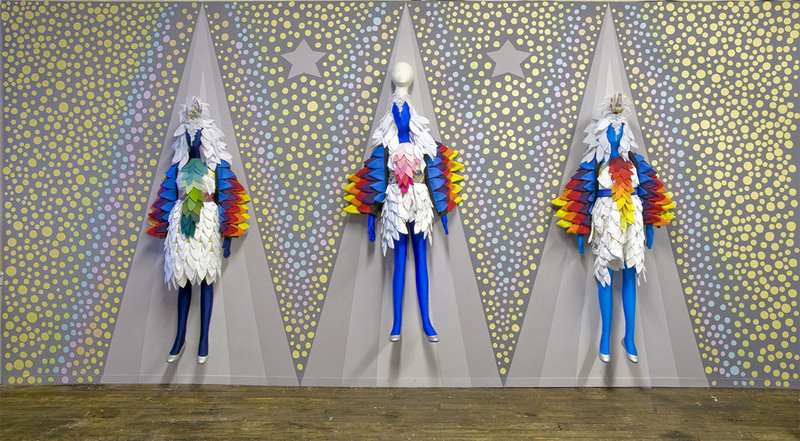 Saya Woolfalk has exhibited at PS1/MoMA; The Whitney Museum of American Art; Contemporary Art Museum, Houston; Contemporary Arts Center, Cincinnati; the Brooklyn Museum; Asian Art Museum, CA, Museum of Contemporary Art, Chicago; the Studio Museum in Harlem; the Frist Center for the Visual Arts; The Yerba Buena Center; The Newark Museum; Third Streaming; MCA San Diego; MoCA Taipei; and Performa 09; has been written about in the New Yorker, Sculpture Magazine, Artforum, Artforum.com, ARTNews, The New York Times, Huffington Post and on Art21’s blog; and has also worked with Facebook and WeTransfer. Her first solo museum show The Empathics was on view at the Montclair Art Museum in the Fall of 2012. Her second solo museum exhibition ChimaTEK Life Products was on view at the Chrysler Museum of Art in the fall 2014. She recently completed a video installation commission for the Seattle Art Museum, and is a recipient of a NYFA grant in Digital/Electronic Arts. She is currently working on a solo museum exhibition commission for the Nelson Atkins Museum in Kansas City, MO and is represented by Leslie Tonkonow Artworks + Projects, NYC and teaches in the BFA and MFA programs at Parsons: The New School for Design.